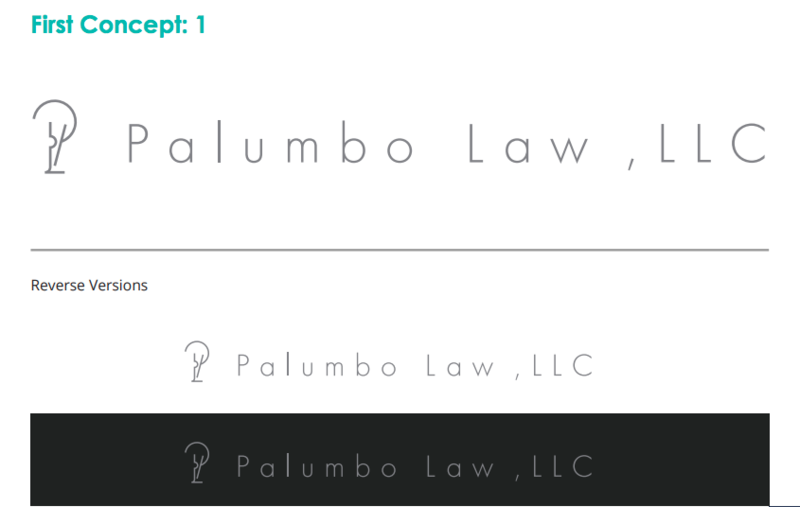 Palumbo Law, LLC is a firm in Atlanta, GA who writes briefs, appeals, and motions for immigration and criminal attorneys. 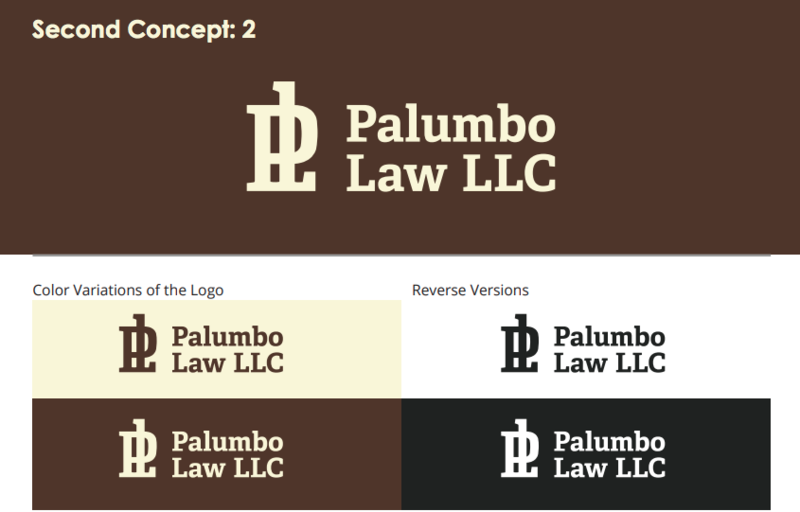 We looked at their competitors’ logos as well as other logos from attorneys at law. Straight shapes and simple monograms with calm colors are prevailing. Direct associations, like Lady Justice, libra or wreath are often used as symbol. We used many of these elements as a basis for their personal brand. The first logo concept is a Monoline logo, a style which presents a welcome break from all the colors and gradients used in a majority of logo designs. The symbol we created is the pen’s nib that leaves a line, but also allows us to incorporate the “PL” monogram. We felt that these combination of metaphors perfectly reflect your practice – the nib is used to reflect the legal document writing services you provide, and the monogram underlines your brand – it was important for us to emphasis on the name. We chose to create the symbol and type in a thin and clean format which makes the logo look modern and the symbol’s rigor reflects confidence, intelligence and professionalism. To enhance the minimalistic composition, we chose a white and light grey color scheme. For the second option we went more traditional. Here we geared the design to attract the more conservative professionals of their target audience. The symbol is a classical monogram “PL”, that also looks close to “¶” symbol – which underlines their line of text as well provides emphasis on the initials of the company name. The Slab font within the monogram and type works together as a traditional serif font, but for a more modern generation. The strong and boldness in the letterform within the monogram and type reflects confidence and a calm sense of professionalism, which is reinforced by the text layout. To help them stand out from their competitors and enforce the boldness of the stye, we chose beige and brown hues for the the brand. The third and final concept was inspired by their workflow description. 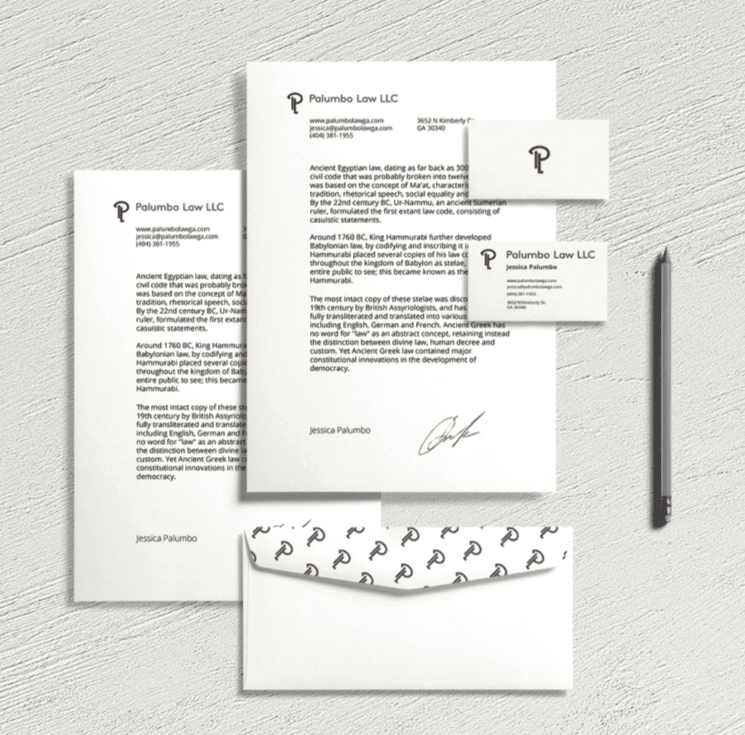 The symbol is a pen with the obvious standout nib incorporated into a P, which can be used as the sole icon. We used a font type that is similar to a vintage brush lettering. Not only do we feel that this logo is visually competitive but works very well to their personal branding; and as they had mentioned, we used eggplant tones with a very light beige. Well, after a couple rounds of revisions and updates, concept number 2 was the winner. We upgraded the monogram look and feel to provide a much modern and cleaner direction. This is the fun part about collaborating on a brand – we take a base design and keep improving upon it until we create something truly amazing. Let us know what you think below! 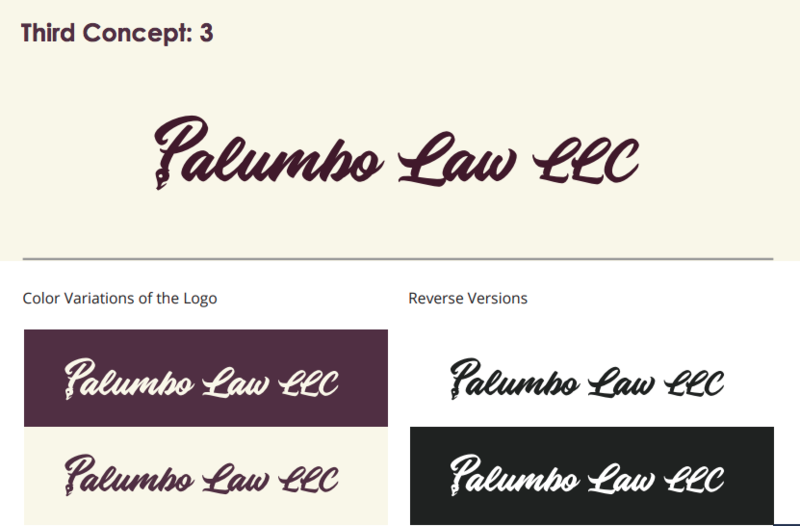 Attorney Web Design Makeover for Bourassa Law P.A.